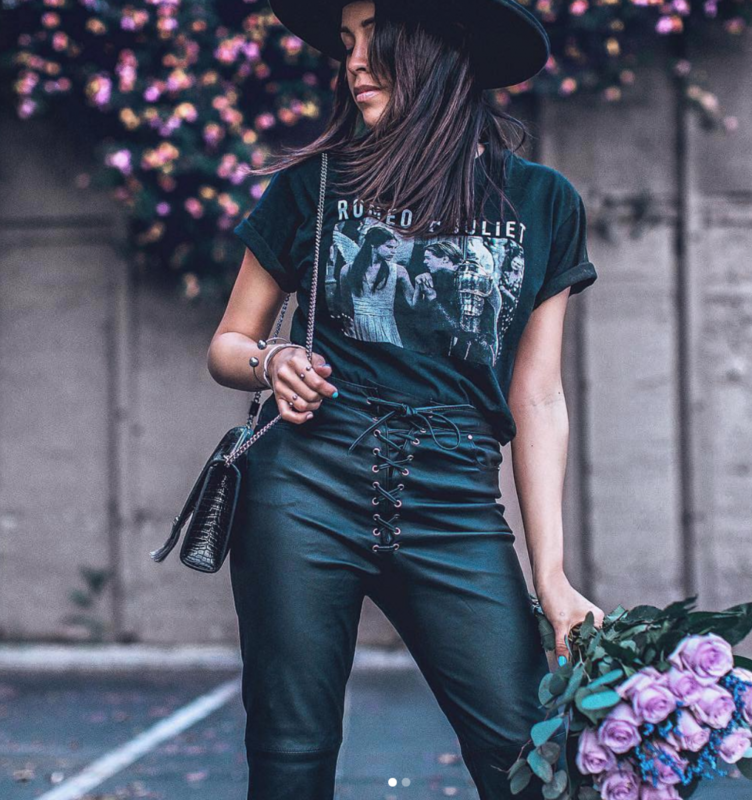 For those of you who are newer around here or those of you who simply don’t understand how to do it, I wanted to go over how you can easily shop my outfits by using @liketoknow.it. A lot of the photos I post on my Instagram are shoppable! I share a lot of exclusive content on here that you may not see on my Instagram feed along with lots of outfit photos. Simply click on the photo you want to shop, and it will take you to another page sharing all the items you can shop. If you click on the photo of the item it will take you directly to the website where you can buy the item! This is such a good resource for your shopping needs. Not just to shop my looks but to search for any other items you are looking for. It’s a great shopping search tool basically! The app allows you to create your own WishList also! This way you don’t have to shop instantly, but instead can save your wishlist for later! 3) Once, you are in the app and all signed up, On the bottom right hand side you should see a little “search” button. 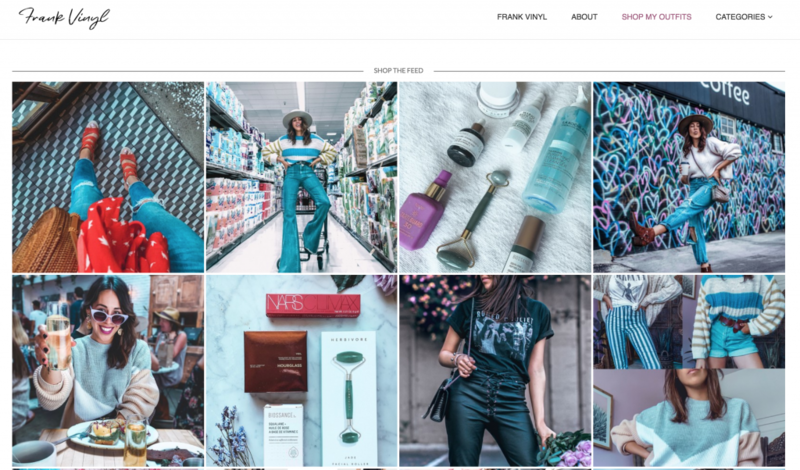 Click that and it will take you to a page where you can type in ‘Frank Vinyl’ or any other blogger/instagrammer you would like to follow. 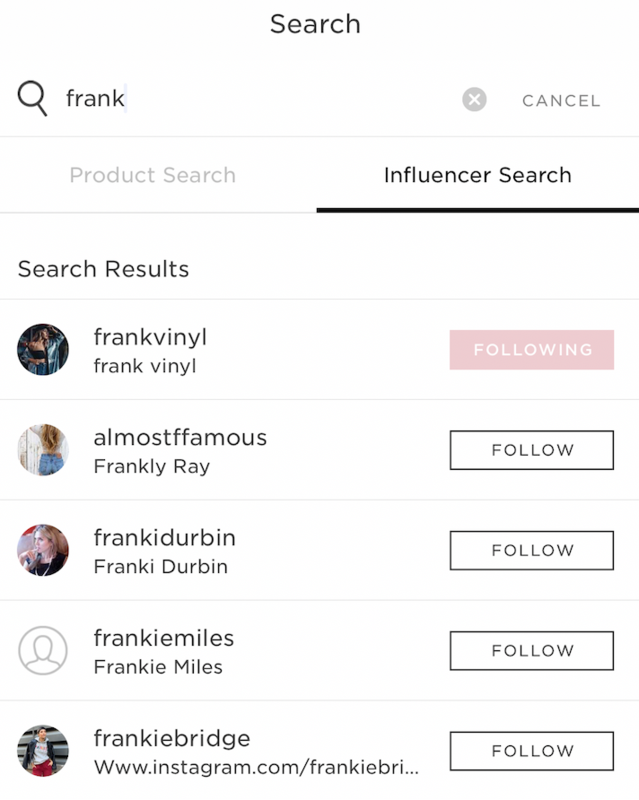 4) Click on “influencer search” then write the name of who you want to follow (ehem :frankvinyl *cough). You will see underneath a list of available options. See below how FrankVinyl shows under “recent searches”. Click on the name. It will take you to a page with all my photos. Click on one of the photos and it will take you to my main profile page. Make sure to click that pink “follow” button next to my profile pic! Below you will see what my actual profile page looks like. 5). Once you follow me you will see you can click on any of my photos and it will take you to another window with all the images of each product under the main photo. If you click on the image of the product you want to shop, another button will pop up that says “Shop”. Clicking this will take you directly to the site where you can shop this product!. Super easy! Never miss a post! We all know instagram sometimes doesn’t show everything. 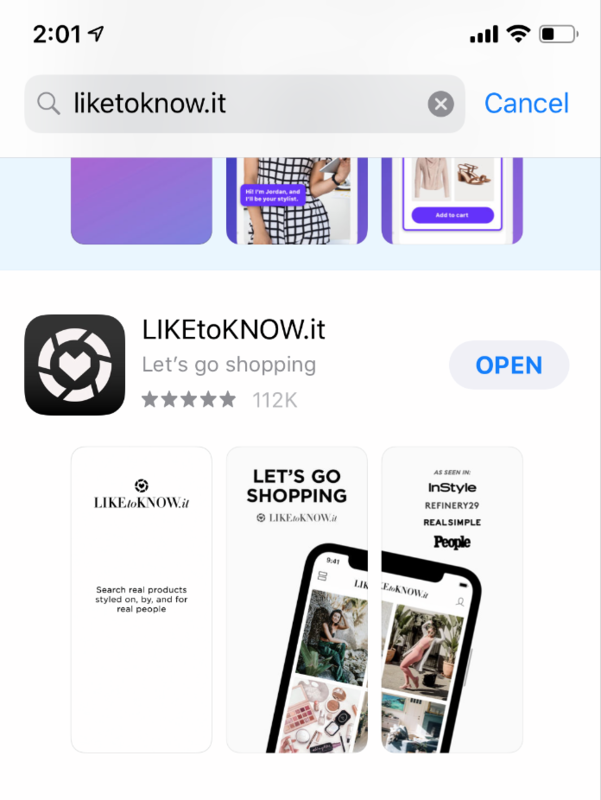 In case you miss a pic of mine, you will most likely see it on my Liketoknow.it app! You can instantly shop by just clicking a photo. Just tap on the item you love, and you’ll see price and retailer info. Wishlist is the best! If you aren’t ready to spend or need to keep shopping before you make up your mind, you can simply hit “wishlist” (with the little heart next to it) after you click on a product you like. The search feature is also a favorite of mine. 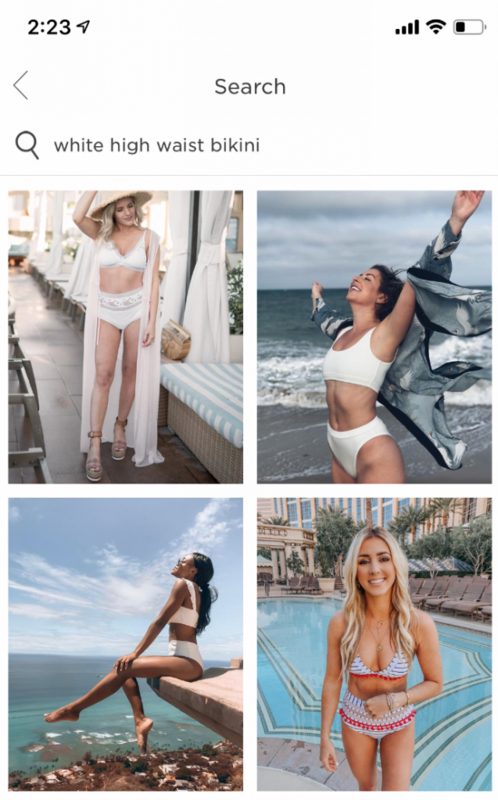 For example, if you are prepping for a beach vacation , you can search for ” white high waist bikini” or “one-piece swimsuit” and see what other people are wearing and how they styled it (see below). Thanks for reading and as always feel free to leave a comment below or email me [email protected] if you have questions about how to use or shop my outfits via liketoknow.it!